Through their AQT (Automation, Quality, Time) Platform and Global Competency Centers for driving Automation and AI, Tech Mahinda will enable the adoption of H2O.ai based solutions in various industry segments. 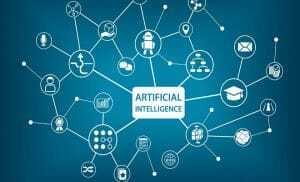 IT major Tech Mahindra and H2O.ai, an open source company in Artificial Intelligence (AI), have entered into a partnership to set up a Center of Excellence to provide AI and Machine Learning solutions to enterprise customers. By combining the H2O.ai’s enterprise-scale automatic machine learning platform, H2O Driverless AI, with Tech Mahindra’s domain expertise across multiple industries and verticals, the partnership is aiming to bring next generation AI and machine learning solutions to enterprise customers around the world. The platform enables data scientists or data analysts to work on projects faster and more efficiently by using automation and state-of-the-art computing power. H2O.ai said its H2O Driverless AI will provide Tech Mahindra customers with a data science platform that addresses the needs of a variety of use cases for enterprises. It will deliver automatic feature engineering, model validation, model tuning, model selection and deployment, machine learning interpretability, time-series, Natural Language Processing (NLP), and automatic pipeline generation for model scoring, the company added. “The need of the hour is to democratize knowledge in AI and make it accessible to everyone,” noted Jagdish Mitra, Chief Strategy and Marketing Officer, Tech Mahindra. He said that a wide variety of Artificial Intelligence (AI)-enabled applications across Communication & Media, Banking, Healthcare, Life sciences, Retail and Manufacturing will unearth opportunities in the coming times. Through this partnership, Mitra said, they aim to empower their customers to use Artificial Intelligence and Machine Learning technologies to increase access to AI talent, drive better decision making, and accomplish tasks at a faster pace. According to Sri Ambati, CEO and founder at H2O.ai, size and speed are no longer the key metrics for successful data lake implementations. He explained that good KPIs for AI-first organizations is their ability to experiment faster by automating pipelines, discovering new insights and building AI-first application stores to monetize data with adaptive business processes. He believes that their partnership with Tech Mahindra will foster a close-knit collaboration with customers and accelerate successful implementations of AI in all verticals.